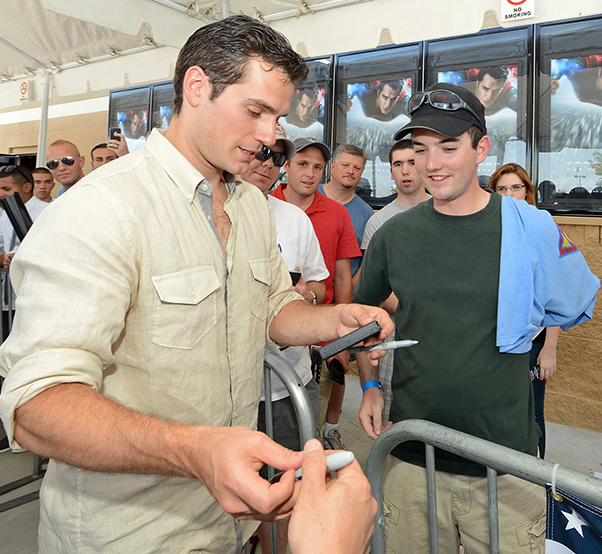 Just before leaving on the Man of Steel promo tour in June, Henry met with members of the military at Edwards Air Force Base where some of the film was shot. 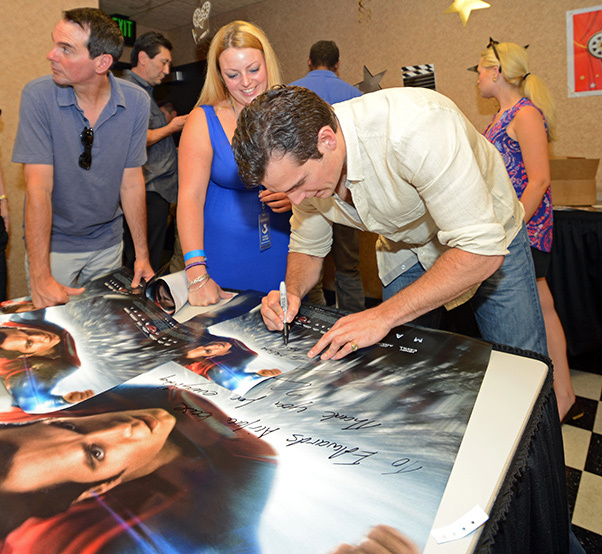 Fans were also treated to a pre-screening of Man of Steel. These are pictures posted by the the Air Force on their online newspaper journal: Aero Tech News. 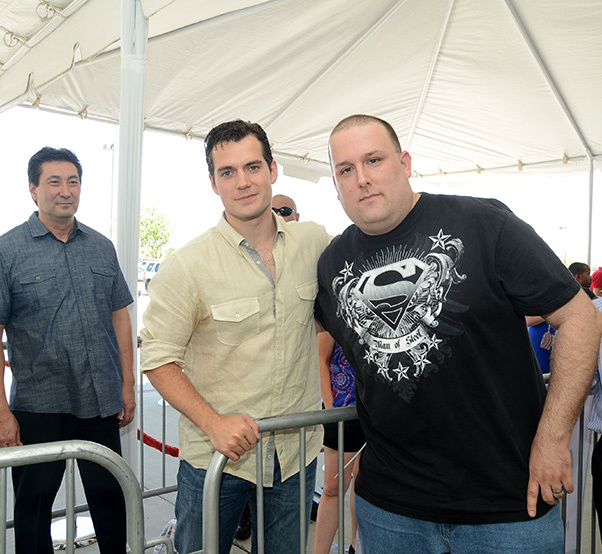 After the meet and greet was finished, Cavill went to each theater to greet the Edwards crowd and thank them for their service. 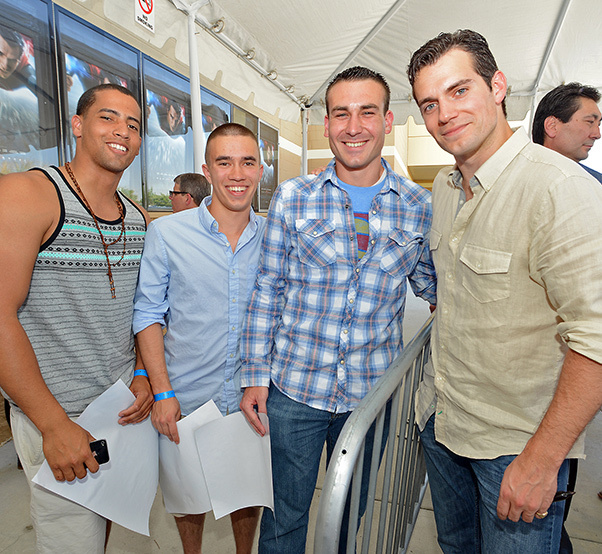 After Cavill departed, the packed houses were treated to the film. 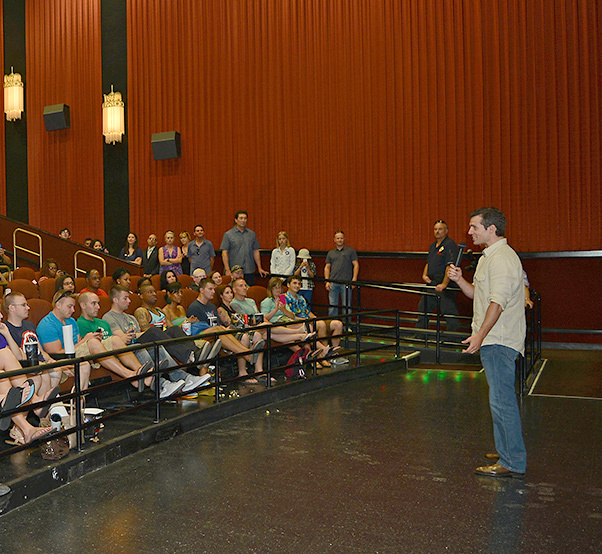 Thanks to the U.S. Air Force for the pictures. 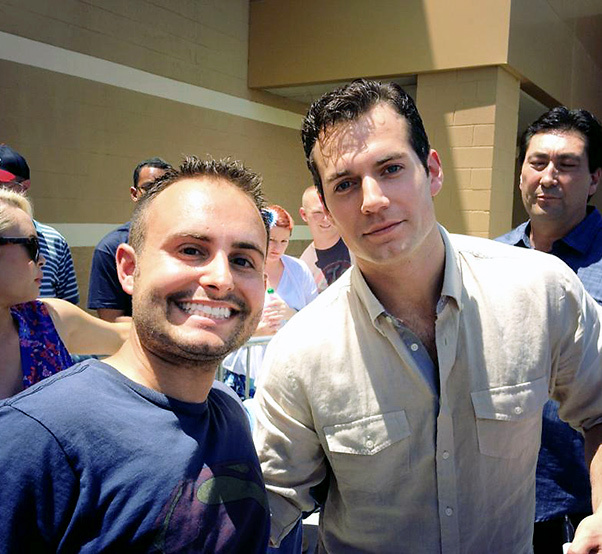 Aero Tech News has a lot more on Henry's visit to the base. 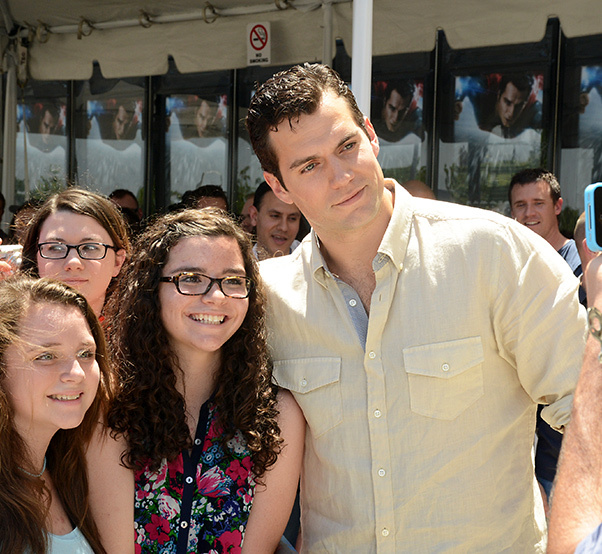 And check out our wrap for more cute photos from that day, plus the story behind this bottom picture. You will love! Hmmm. He shot scenes with the Canadian Coast Guard (disguised as US Army), wonder if he gave them the same consideration or was this more to look more "American" because it really is all about them is it not? Slightly disappointed. Oh I was honored by them, all of them we're veterans to which we owe a great sympathy to. They're all caring and Godly.